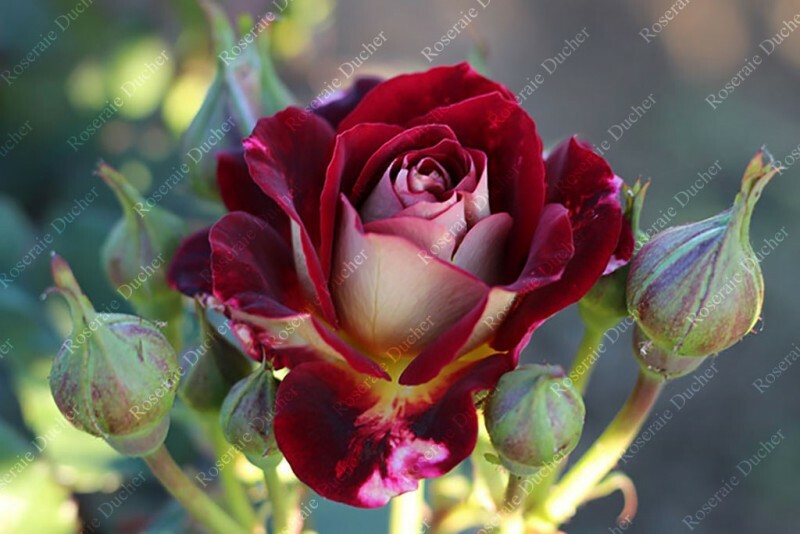 Fleur : red velvet with a golden yellow center. 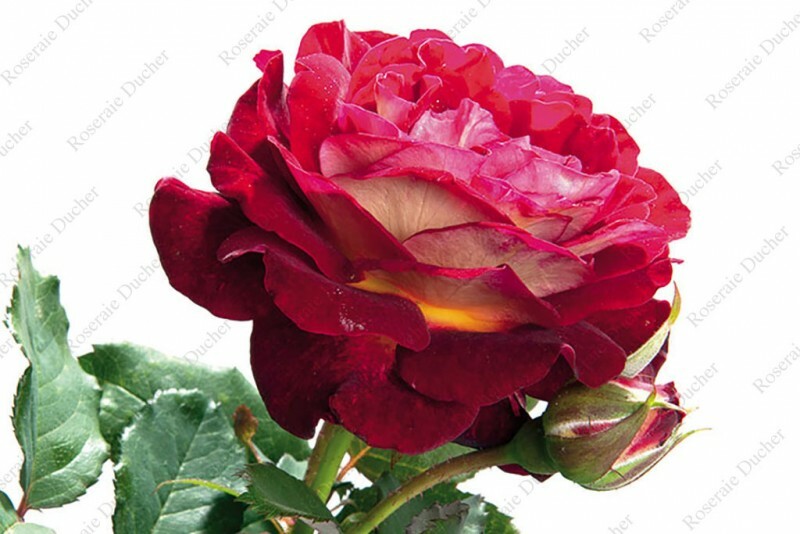 'Bernard Mas ®' is a shrub rose that produces flowers with a unique red velvet color. The backside of the petals have a silver reflection and the center of the flower is golden yellow. Leaves are shiny and healthy.